Versatile, User Friendly, and Cost Effective . 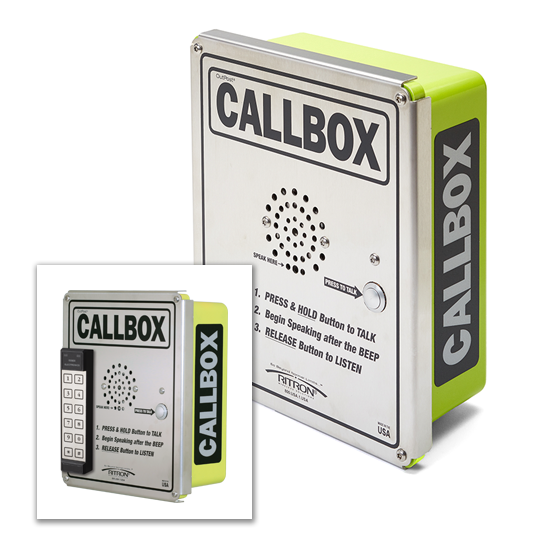 . . Callboxes provide stand-alone or full system utility in entry access management of doors and gates, assembly line maintenance or emergencies, campus and parking garage safety and security, and wherever a fixed wireless battery operated radio is advantageous. 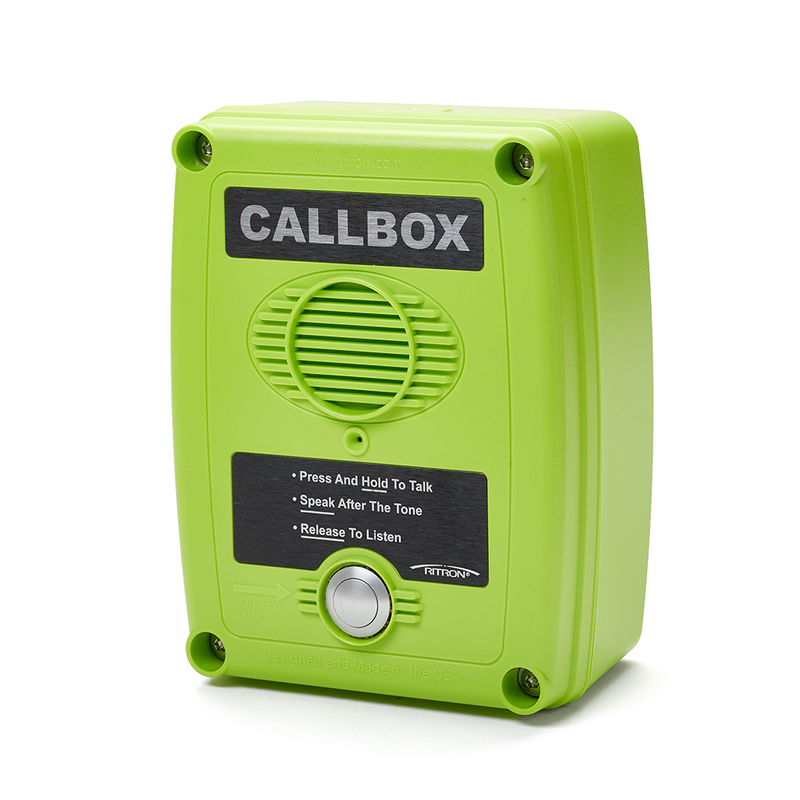 Position the compact and durable Q Series 2-way radio callbox virtually anywhere to maximize manpower efficiency, improve safety and service response times. 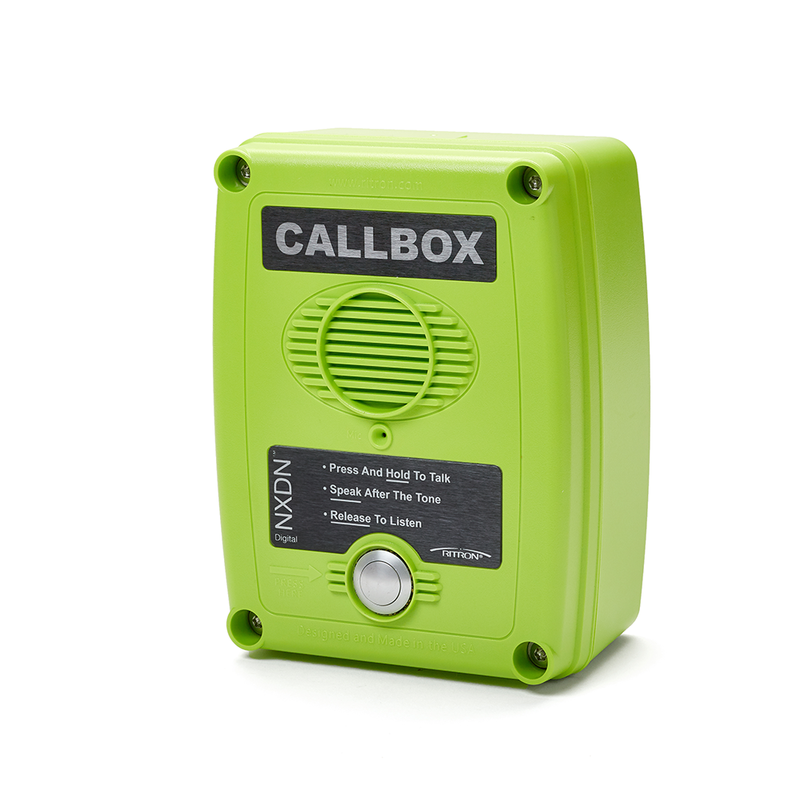 Position the compact and durable XD Series 2-way radio callbox virtually anywhere to maximize manpower efficiency, improve safety and service response times. 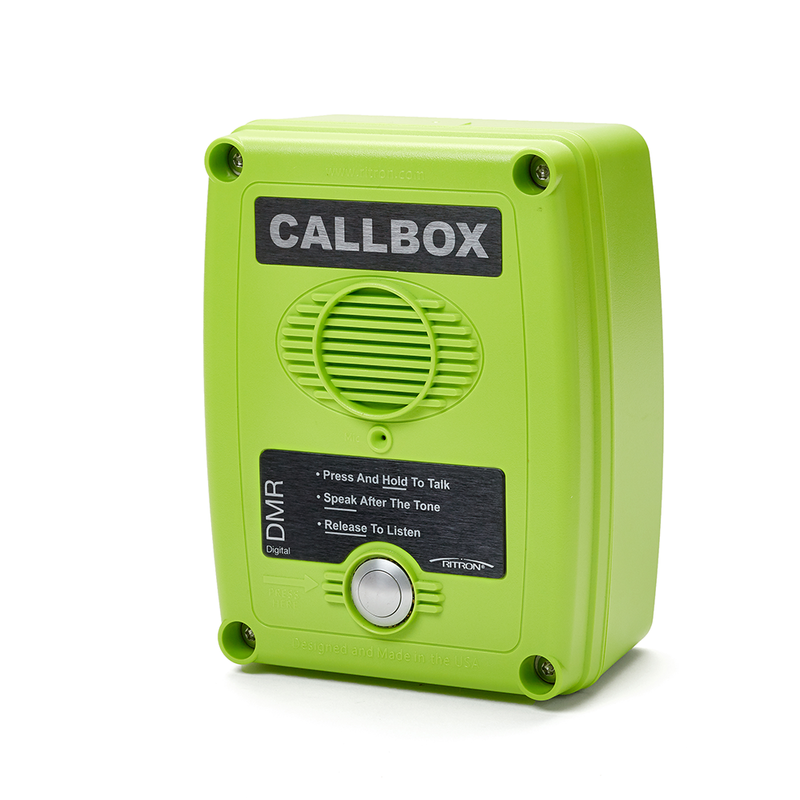 The callbox provides crisp, clear, long range DMR digital voice communication and allows staff and visitors to communicate with your radio-equipped personnel from points near and far. The XT Series provides extra durability for rough environments. Can be used stand-alone using alkaline batteries or can be powered using external AC adapter. Long-Range, 2-Way Wireless Communication and Remote Access Control System. Keep gated areas secure, without compromising your ability to communicate long range.